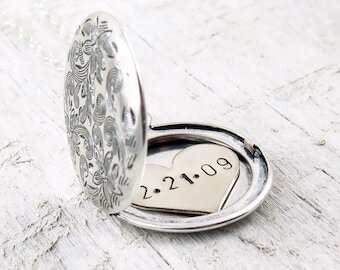 Please enter your personalized info here based on what you purchased. 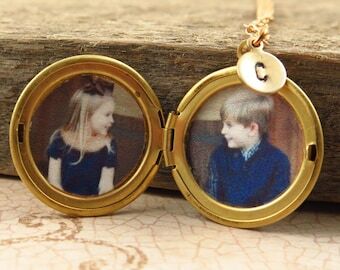 If you ordered the photo option, please email me a JPG to laurenbdesigns@gmail.com. 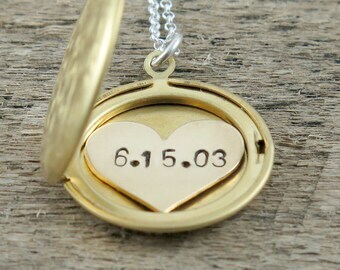 Custom date and name locket necklace. 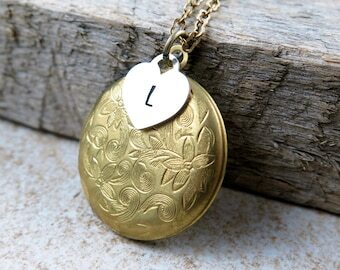 Gold brass floral round locket necklace on antiqued gold chain. 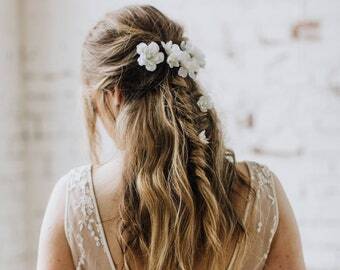 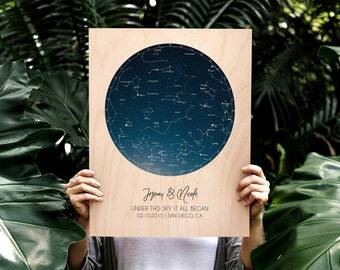 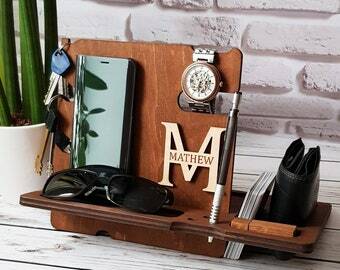 The perfect gift for: wedding date, engagement date, birthdate, new baby birth date, anniversary date, flower girl, retirement date, graduation date. 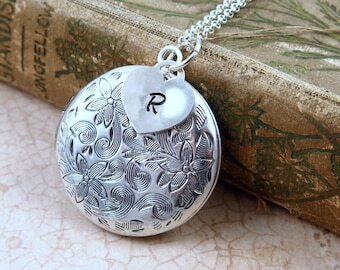 LOCKETS DO NOT INCLUDE HAND STAMPED INITIALS- PLEASE CLICK BELOW TO ADD THAT TO YOUR ORDER! 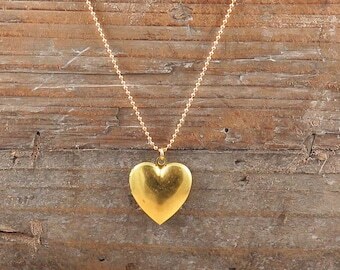 This was a gift for my sister and she loves it!! 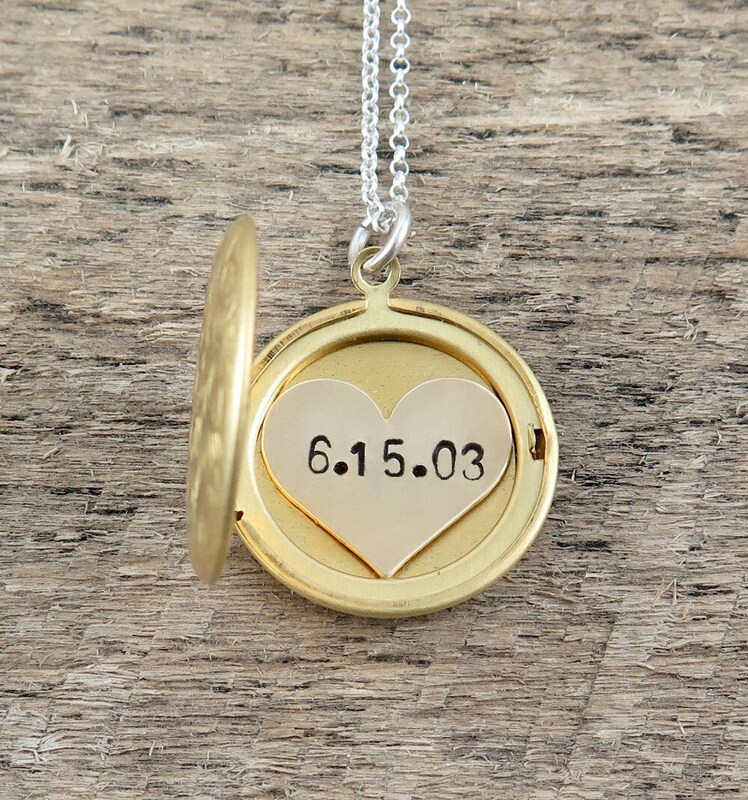 The locket is beautiful and the heart with the date is so special. 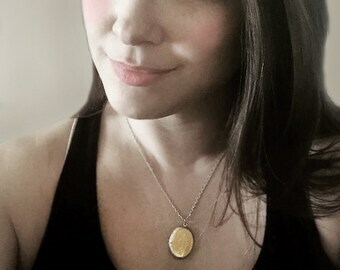 The picture came out perfect! 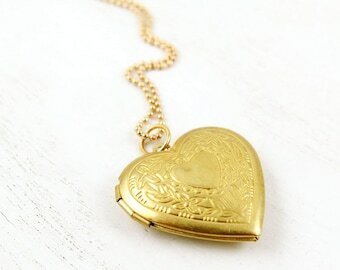 Thank you so much for a beautiful locket.